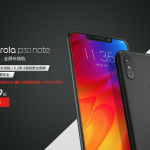 According to listings on Motorola's official China website, the Lenovo-owned brand could be launching the new P30 series of smartphones at an upcoming event in China. 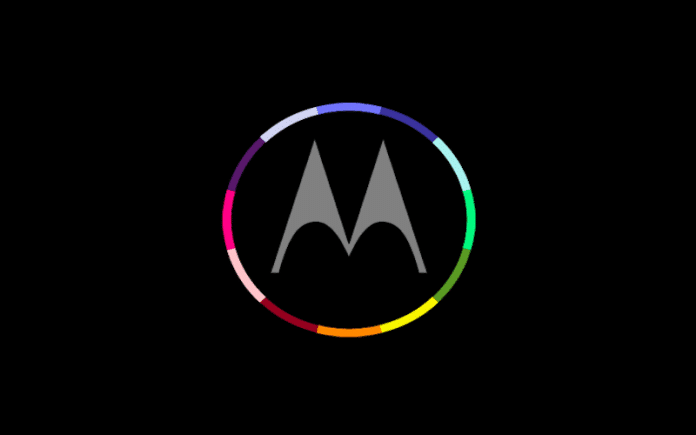 Lenovo-owned Motorola is gearing up to launch new smartphones in China. 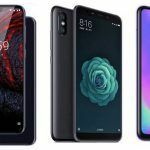 The company is hosting the event on August 15, 2018 and is expected to bring out new devices for the country. 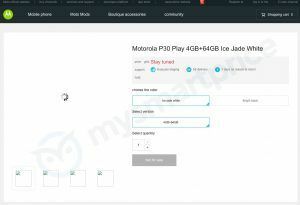 Although several reports hinted that Motorola will launch the new Moto Z3 and the Moto One Power at the event, but a new listing spotted on its website suggests otherwise. 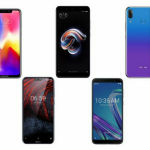 We have comes across three new listings on Motorola’s China website for three new smartphones – Moto P30, Moto P30 Play, and Moto P30 Note. 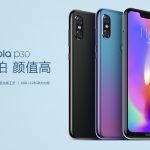 The listing of the Moto P30, P30 Play, P30 Note on the company’s official China website does not reveal the images and pricing. However, it does reveal the colour options and RAM/Storage configurations for each device. 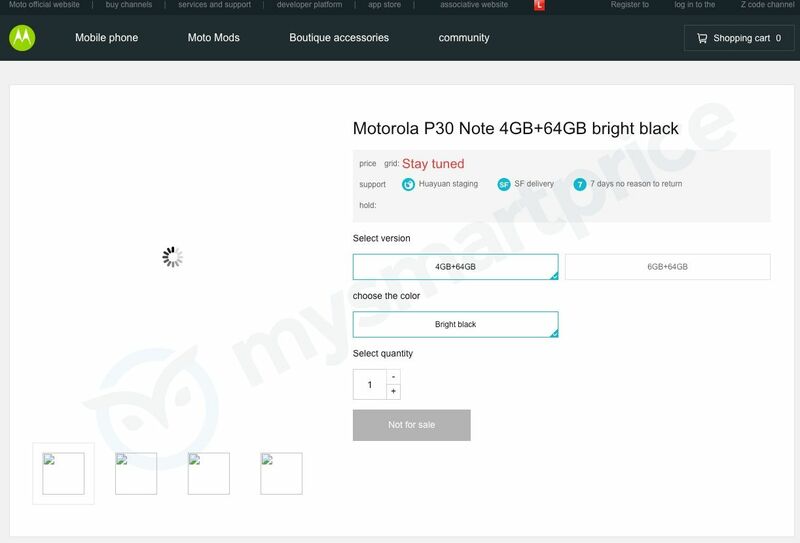 According to the listing, the Moto P30 Note will come in two configurations – 4GB RAM + 64GB storage and 6GB RAM + 64GB storage. The phone will be available in Bright Black colour options. 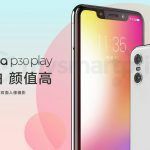 The Moto P30 Play, on the other hand, will come in a single variant featuring 4GB of RAM and 64GB of storage. It will be available in Ice Jade White and Bright Black colour options. Last but not the least, the Moto P30 will be available in two variants – 6GB RAM + 64GB storage and 6GB RAM + 128GB storage. 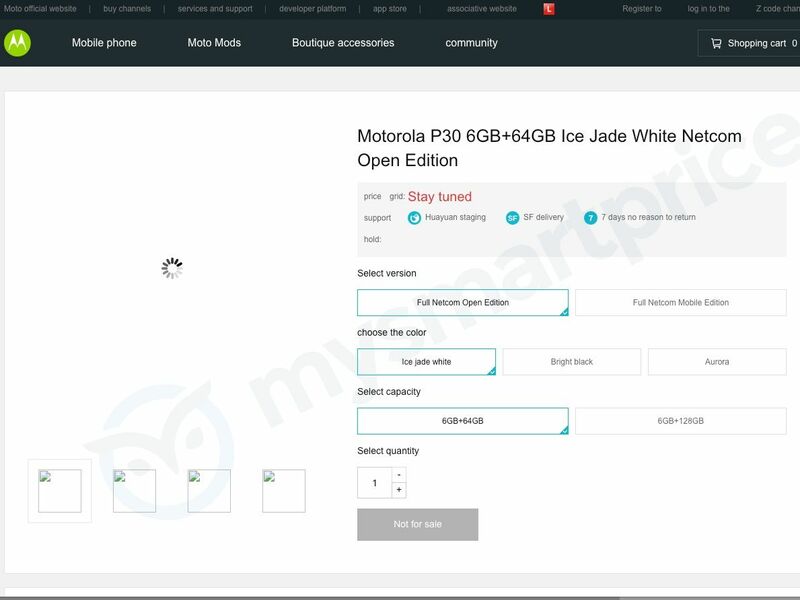 The phone has three colour options – Aurora, Bright Black, and Ice Jade White. 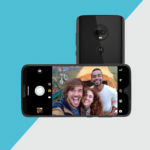 The listing of the Moto P30 also mentions two editions – Full Netcom Open Edition and Full Netcom Mobile Edition. In China, ‘Full Netcom’ denotes to support for all Chinese mobile networks. At the launch event, the company will also be bringing the Moto Z3 flagship for China market. 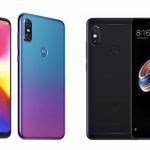 The phone was also available for pre-ordering on China’s JD.com ahead of the launch. 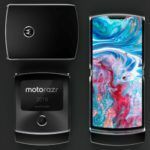 To recall, one of the most highlighted features on the Moto Z3 is its 5G Moto mod that makes it the first 5G upgradable smartphone. The Moto Z3 smartphone comes with a 6-inch AMOLED screen and is powered by a Snapdragon 835 chipset. The phone packs 4GB of RAM and 64GB of internal storage. There is a 12MP + 12MP dual-camera setup at the rear and an 8MP sensor on the front. A 3000mAh battery backs the phone while the 5G Moto Mod offers additional 2000mAh battery. It runs Android 8.1 Oreo out-of-the-box and will soon be upgraded to the recently launched Android 9.0 Pie. Lenovo-owned Motorola will be launching the Moto Z3 at the event and now the latest scoop suggests that we may also get to see the launch of the Moto P30 lineup. 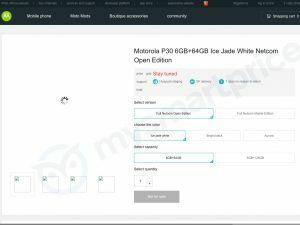 Besides, some of the reports hinted that the company could also launch the Moto E5 Plus in China.